In the early 90s, a mysterious muscular disease began to surface among multiple patients in France. A team of doctors in Paris discovered that these patients had developed a new disease called Macrophagic Myofascitis, or MMF, which occurs when the aluminum hydroxide adjuvant from a vaccine remains embedded in the muscle tissue. Following the success of Vaxxed: From Cover-Up to Catastrophe, Cinema Libre Studio is releasing a new French documentary (with English subtitles) that further examines the safety of vaccines, this time the aluminum adjuvant used to deliver most vaccines. We are expediting the release of the film since, people "in the know", feel that that changes at the top level of the Department of Health with the new Administration, might lead to dynamic changes around vaccine safety testing. Since the 1920s, aluminum salts have been used primarily as the adjuvant in most childhood vaccines to optimize the body's immune response to the injected disease. Aluminum is now known to be neurotoxic and the root cause of many serious illnesses including MS and Alzheimer. The aluminum adjuvant was only tested for 28 days, on two rabbits, and their remains have mysteriously disappeared. What the pharmaceutical companies don't make public is how the aluminum adjuvant was never rigorously tested before going on the market and there were alternatives albeit slightly more expensive--available. Injecting Aluminum features interviews with MMF patients, doctors, scientists, and influential politicians who are speaking out for the very first time about the dangers of aluminum in vaccines. This groundbreaking documentary calls in to question the public health policies around aluminum in vaccines and the failure of health agencies globally to respond to the known neurotoxic effects of this powerful vaccine ingredient on the human body. Thank you for this Cleopas. Parents who do not vaccinate their children are penalised in many ways. A recent report on deaths of elderly people dying from flu does not reveal the most important thing - that all these people would have been vaccinated. A later report stated that the vaccine has a weakened effect in the elderly as distinct from it being administered to younger folk. What hypocrisy! Just watched the trailer. The whole thing is obscene..
My Doctor is in trouble now because he is anti vaccine and is being investigated. If they keep coming after the parents I might be forced out of this Country. It is just getting worse......Greg Hunt (Health Minister) says, "it is the government's job to keep all children safe! Any doctor that is anti vaccine should be dealt with by the law!" This is at Kindergarten level and childcare level. "The California Legislature passed and on June 29, 2015 Governor Jerry Brown signed California Senate Bill 277 into law. The law, which does not take effect until July 1, 2016, removes the personal belief vaccine exemption for children attending daycare and public and private schools. Know too the ultra-progressive state of California has present in legislation a bill for mandatory ADULT vaccinations also. What a dreaded leadership. We get the leaders we deserve to sanctify us through hardship...hopefully back to God. I guess that any doctor who refuses to perform an abortion will also 'be dealt with by the law"
It has actually happened! The father who sent me this email has just informed me that his doctor has been deregistered because he refused to vaccinate children. His whole life is in chaos. US researchers are said to be close to being able to deliver every required vaccine in a single go, and kids and parents both will benefit. A new medical technology is in development by researchers at the Massachusetts Institute of Technology (MIT) to combine every single nasty hypodermic-needle inoculation into one single shot, a move that will surely cause many families to breathe a sigh of relief, and could go a long way toward eradicating stubborn diseases globally. As described in the journal Science, the technology - a method of storing all those necessary vaccines in microcapsules that release within the body at specific times - has worked successfully in mice, according to a report by the BBC. The list of necessary vaccines, including diphtheria, tetanus, whooping cough, polio, Hib and hepatitis B at the ages of eight, 12 and 16 weeks; a pneumococcal shot at eight weeks, 16 weeks and one year; the men B vaccine at eight weeks, 16 weeks and one year; the Hib/Men C vaccine at one year - as well as the ever-popular measles, mumps and rubella shots that occur at one year and at three years and four months - could now be bundled into one shot, a medical advancement unthinkable even ten years ago. Reminiscent of a tiny cup filled with vaccine material and sealed by a lid that can be modified to break down and release its contents at a specific time, the new MIT-designed micro-particle could be used to combine all of those vaccines into a single jab. In a set of preliminary tests conducted by the MIT researchers and reported in the journal Science, contents of the 'cups' were modified to release at precisely nine, 20 or 41 days after being injected into laboratory mice. Recent developments show that 'cup' particles that release their contents hundreds of days after injection are viable, according to the researchers. The new technology remains to be tested on humans, but that day is not far off, according to MIT Professor Robert Langer. "We are very excited about this work," Langer detailed, adding, "For the first time, we can create a library of tiny, encased vaccine particles, each programed to release at a precise, predictable time, so that people could potentially receive a single injection that, in effect, would have multiple boosters already built into it." Noting that ease and efficiency in getting vaccines into less developed areas of the world will have a positive effect on world health, Langer observed, "This could have a significant impact on patients everywhere, especially in the developing world." A fellow MIT researcher observed that an all-in-one vaccine could "be the difference between not getting vaccinated" and receiving any vaccine at all, cited by the BBC. This is an article just published about the "stitch up" the government is doing on my doctor. He is a good guy and very smart but has been de registered by the authorities. As you probably are aware, Melbourne GP, Dr John Piesse, is facing prosecution and deregistration for the ‘crime’ of supporting parental vaccination choice and writing medical exemption forms for families whose children are at risk of serious reactions or death from vaccines. Below is an article Dr Piesse has submitted to the Melbourne Age. It is reprinted with his permission. If you would like to help Dr Piesse continue to assist families whose children are at risk from vaccination, please consider donating to his GoFundMe Account by clicking here. It would also be appreciated if you can share this page with as many people as possible by email and social media. Use the hashtag #istandwithdrpiesse. The writer has become embroiled in the controversy about whether or not it is wise to vaccinate. I have been encountering cases of vaccine injury for over 40 years. In June it was a happy, healthy nearly 5-year-old whose parents were required to put her on a catch-up schedule, in order to get her into kindergarten. She won’t be going to kinder. She’s in a wheel-chair, brain-damaged. Her life ruined. Then came a friend’s father who died after a flu vaccine, and last week a 4 year old boy, made autistic by a catch-up schedule. In 1988, the US National Vaccine Injury Compensation Program was created. It has paid out over US$3.5 billion to the vaccine-injured. The NVICP was set up to protect vaccine manufacturers from ruinous costs of litigation by vaccine-damaged people. It was deemed preferable to have ‘unavoidably unsafe’ vaccines than no vaccines. Unfortunately the protection provided to vaccine manufacturers also reduced incentives to develop safer vaccines in USA. Politicians and doctors assure us that vaccinations are very safe although less than 5% of vaccine reactions are reported. Most are passed off as ‘just a coincidence’. Vaccines contain health-damaging ingredients, not the least aluminium – a known neurotoxin implicated along with mercury, in brain damage as in autism, developmental delay, ADHD, and learning difficulties. Aluminium is also a powerful promoter of auto-immune diseases. Vaccines can claim to be mercury-free if their mercury content is below a still-toxic threshold. 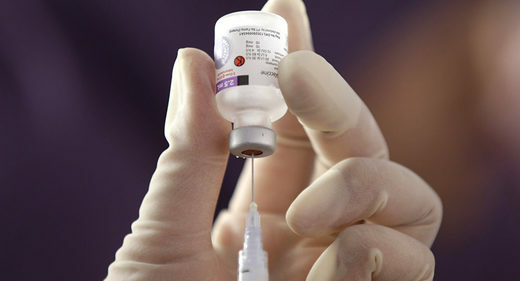 Most influenza vaccines contain mercury – also a neurotoxin. In addition, polysorbate 80 in vaccines increases the permeability of the blood brain barrier and potentiates the risks of these neurotoxins. The known presence of carcinogenic viruses in the MMR vaccine, has been covered-up. Vaccines also contain formaldehyde, a known carcinogen. Proof of vaccine safety requires rigorously conducted clinical studies comparing vaccinated versus truly unvaccinated children for health outcomes. Are there any such studies that confirm that vaccinated children are not worse-off than those unvaccinated? No. There are none. Hence, child vaccines are unproven for safety – an inconvenient truth for a profession that prides itself on being scientific. One analysis indicated that national infant mortality rates were proportional to the number of vaccine doses (Miller NZ 2011), contradictory to the claim that ‘vaccination saves lives’. From mid-2015, parents who wished not to vaccinate their children, started to converge on my practice seeking assistance with gaining exemption from the penalties directed at non-vaccinators by the No Jab No Pay and No Jab No Play Legislation. Analysis up to the end of 2016 of parent’s reasons for not vaccinating, indicated that 64% of 166 parents knew of vaccine-damaged individuals in their own family. The study of ‘Adversomics’ confirms polymorphic and genomic susceptibility factors common to vaccine–damaged individuals and their families. (Poland GA 2015). 40% of unvaccinated children had pre-existing health problems that parents considered would make them more at risk of harm from vaccines. 60% of unvaccinated children were very healthy, but only 6% of the vaccinated children. There were no cases of autism in 212 unvaccinated children, but 8 autism cases in the 50 vaccinated children (16%), and 36% with ASD, compared to 1.4% in the unvaccinated. As yet there are no large-scale vaccinated versus truly unvaccinated studies of the sort needed prove that vaccines do or do not cause autism. A recent study of home-school students showed a 6.6 fold increase in neurodevelopmental disorders in the vaccinated group over the unvaccinated. Autism spectrum disorders were 4.7 times more prevalent in the vaccinated children (Mawson AR 2017). So long as doctors and governments continue to be hood-winked into believing that vaccines do not cause autism, no action will be taken to stop the alarming surge in the autism epidemic. A tragedy that need not happen if we demand good science. and safe vaccines. Dr John Piesse is one of very few Australian doctors who took his oath to “first do no harm” seriously. Recently, he has come under fire for standing up against the tyrannical Victorian government who are stripping away basic human rights. As a young doctor who gave vaccinations to infants in the 1970’s, Dr Piesse followed the recommendations of the Australian Health Authorities without question. He trusted that the information he had been provided was backed by science. Like the majority of medical practitioners, he believed the official assertions that vaccine reactions were “one in a million” until he noted that, in fact, they weren’t. Upon reflecting on his records, Dr Piesse observed that approximately 50% of his infant vaccine recipients became quite ill. More tragically, 2 post-vaccination infant deaths came to his attention, both deaths brushed off as SIDS.2 Over the subsequent years, he noted many cases of vaccine-damaged individuals and thus began his research into the science of vaccination. What he found was truly shocking. Not only were there no gold standard studies proving the efficacy of vaccination – an inconvenient truth for a profession that prides itself on being scientific, but according to Dr Piesse, “One analysis indicated that national infant mortality rates were proportional to the number of vaccine doses (Miller NZ 2011), contradictory to the claim that ‘vaccination saves lives’.” He went on to say “… there is an over-whelming quantity of ‘manufactured science’…scientific fraud, and [doctors are] ignoring evidence supporting causality [between vaccines and vaccine damage]“. So how did Dr Piesse, a man described by his patients as a caring, honest and brave doctor, find himself the subject of an investigation? Grant McArthur, a reporter from the Herald Sun who is believed to have colluded with Jill Hennessy (Victorian Health Minister) on a fabricated tweets saga blaming “anti-vaxxers” for abusing her, broke this story with the alarmist title ‘Secret Melbourne cell of anti-vaxxer doctors under investigation’. His article leads readers to believe Dr Piesse is guilty of serious misconduct. Some basic investigation will show that not only is this untrue, but everything Dr Piesse did was perfectly legal and medically indicated. According to section 147(2c) of the Public Health & Well Being Act, in order to access child care or kindergarten in Victoria, a parent needs to present their centre with an Immunisation history statement from the Australian Immunisation Register OR an Immunisation Status Certificate (ISC) from any immunisation provider. In the event a medical exemption is required, that ISC must certify that the provider has “evidence that the immunisation of the child would be medically contraindicated under the specifications set out in the Australian Immunisation Handbook.” It does not state that a doctor must disclose those reasons – after all, that would be a breach of patient privacy. While many people, including medical professionals, have been led to believe that reasons for medical contraindication to vaccination must be consistent with the very strict guidelines set out in the Immunisation Handbook, the Handbook’s disclaimer in fact, expressly states that exemptions are “subject to clinician’s judgment in each individual case”. Furthermore, the Handbook states that it is “a general guide” and that “there are unaddressed scientific questions, complex medical practice issues and continuous new information, as well as differences in expert opinion” and “it is… possible that errors have been missed”. This confirms that a clinician is not to treat any said guidance as superior to their own judgment, especially considering “The Australian Government Department of Health does not accept any liability for any injury, loss or damage incurred by use of or reliance on the information” contained in the handbook. This is precisely what Dr Piesse did. He used his own clinical judgement coupled with his patients’ detailed history to decide if vaccination, based on his professional opinion, was or wasn’t appropriate. He did this knowing he had the right to clinical autonomy and that the Immunisation Status Certificate he was providing to his patients met the requirements of the legislation. acknowledged “the medical complexity of the issues under consideration”, thus confirming that the circumstances in which a determination may be made of a medical contraindication are not restricted to the set of circumstances listed on the Australian Immunisation Register “IM011” form. “Most doctors are not aware that the Immunisation handbook doesn’t even meet its own mandatory guidelines for gold standard evidence. For example, there are no links to any safety studies on the MMR vaccine and a textbook reference is used to claim the MMR is effective. That textbook is co-written by Dr Paul Offit, a doctor who has profited in excess of $13 million from the rotavirus vaccine he produced with Merck, a company which also holds a monopoly on the production of the MMR vaccine”. He went on to say, “If doctors are not aware of the poor quality of evidence provided in the handbook, how can they offer proper informed consent? Without valid consent, which would include disclosing all the possible adverse reactions listed on a vaccine package insert, doctors are left open to being sued. The Rogers vs. Whitaker case is testament to that. This case has set precedent for a high level of disclosure of even rare risks. Doctors not willing to do their own research into the accuracy of the content in the Handbook may find themselves facing legal action should an adverse reaction occur. If a significant adverse event occurs which has not been disclosed in the consent process, the practitioner performing the procedure bears legal liability for the event, whereas the same adverse event would not attract legal liability had proper consent been given and the procedure performed competently. This is why clinicians like Dr Piesse should be commended for being brave enough to stand up and realise, the Government is only protecting themselves”. While the Immunisation Handbook doesn’t contain adequate links to the safety of the MMR vaccine, this 1986 study is commonly referred to in order to defend its use. The study which states in its introduction that “little attention has been paid to reactions caused by the combined MMR vaccine” concluded that common side effects such as respiratory symptoms, nausea and vomiting were worse in the placebo group than those receiving the MMR vaccine therefore demonstrating its safety. The placebo used however, was the MMR vaccine with the addition of neomycin (anti-biotic), phenol-red indicator (known to have serious side effects including respiratory symptoms, nausea and vomiting) minus the viral antigens. Often vaccine proponents claim it is unethical to deny a child a vaccine and this is why they can never use a true placebo such as saline in vaccine trials. If this is the case, why is it therefore ethical to inject them with the MMR vaccine minus the viral antigens that are supposed to protect them and the addition of two substances each of which in their own right can have serious side effects? While Dr Piesse continues to be vilified by the biased media and a complacent medical board calling for him to be de-registered, evidence has surfaced showing that an unspecified law firm has provided written documentation that Dr Piesse’s Immunisation Status Certificate (ISC) meets the requirements of the legislation. In fact, their letter states that “..It would not be lawful” for any childcare centre or kindergarten to deny enrolment of a child using the ISC provided by Dr Piesse. Furthermore, any childcare service or kindergarten who denied enrolment would be “engaging in discriminatory conduct” thus leaving them open to legal action. A second anonymous source who wished only to be referred to as Sarah, said “I was the one who advised Dr Piesse that he could write ISC’s for his patients. Having visited 5 doctors, all of whom agreed that my son shouldn’t be vaccinated, he was the only one who was willing to give my son the certificate so I could enrol him in Kinder”. She went on to say, “I visited a lawyer, and since then a barrister and showed them the certificate Dr Piesse provided and they confirmed it met the requirements of the legislation”. When asked why she felt Dr Piesse was being targeted, Sarah said “I’ve been in a deadlock with the Department of Health and Human services (DHHS) for 22 weeks and to date, they have been unable to prove that Dr Piesse’s letter of contraindication doesn’t meet requirements. They have tried to exert an authority that is beyond the requirements of the legislation while refusing to cite the law that shows their advice is consistent with the provisions of the Public Health & Wellbeing Act. I have no doubt this witch hunt against Dr Piesse is because they are backed into a corner and it’s easier for them to try to de-register my doctor than to admit they were wrong all along. Their behaviour is despicable”. Jill Hennessy who is responsible for the discriminatory legislation banning unvaccinated children from childcare and kinder, states “You should get your advice from a qualified GP…” However, following the latest witch hunt, one must ask, do our politicians believe you should only seek the advice of a qualified GP who is prepared to parrot their vaccine dogma? Do we live in a democracy or in a dictatorship? It seems evident that governments and many medicos are more interested in clobbering doctors who question vaccine safety than in promoting the good science and adverse-reaction surveillance needed to rectify legitimate concerns. Such individuals refuse to look at any published scholarly articles showing the overwhelming high-quality evidence indicating vaccines can and do cause harm, including death. Practitioners like Dr Piesse who get to see first-hand the devastation that vaccinations can cause, are gagged by the government and medical hierarchies even when they have followed the law. Have people become so closed minded that they genuinely believe a doctor who has legitimate concerns over vaccine safety should be silenced? There is no doubt that this media scare tactic was designed to ensure any critical thinking doctor didn’t exercise their rights to use their clinical autonomy and provide legitimate medical exemptions to their patients. It is therefore imperative individuals use this opportunity to tell their own doctors the real story behind Dr Piesse. If you’d like to support Dr Piesse in his fight for justice, you can donate to this Go Fund Me campaign. Dr. Piesse’s supporters have also called for individuals to lodge complaints to the Australian Health Practitioners Regulation Authority about the way Dr. Piesse has been treated via email to Vic-complaints@ahpra.gov.au.